Keeping up with routine maintenance and major repairs requires a keen eye. Fortunately for you, the certified VW technicians at Kuhn Volkswagen have you more than covered. The VW specialists at our Volkswagen dealership in Tampa, FL, know all Volkswagen vehicles inside and out and want to see you get the most out of your Volkswagen car or SUV. Whether you need an oil change or tire rotation or require Volkswagen engine repairs or transmission work, our Volkswagen service department works tirelessly to make sure your car is running smoothly. Kuhn Volkswagen is open six days a week, so you can schedule Volkswagen service online to work around your on-the-go lifestyle. Be sure to browse our website for the latest Volkswagen service specials, as these money-saving VW offers can help you save on routine maintenance and major repairs alike. 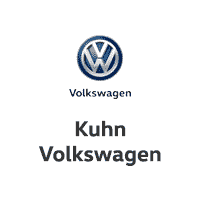 For expert service that truly delivers, head to Kuhn Volkswagen today!